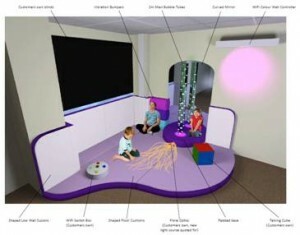 The Resource Centre will be having a brand new Sensory Corner installed. We received some fantastic feedback from parents/carers and professionals on what they would like the new Sensory Corner to look like, and as a result we have decided on a lilac theme with lots of interactive lights. At the moment we do not have a definite start date for the works, but it is expected to start over the next couple of weeks and could last between 6-8 weeks (possible longer). During this time the Resource Centre will be closed and we will be on outreach, providing our information services in the community. Details of where we will be working will be published in the Resource Centre’s weekly e-newsletter. If you have an enquiry during this time you can still send us an email us at : ResourceCentre@homerton.nhs.uk alternately you can call us on: 0207 014 7005/6. New resource for parent carers, the Children and Families Act 2014 and much more! The Children and Families Bill has successfully completed its passage through both Houses of Parliament and on Thursday 13th March it received Royal Assent, becoming the Children and Families Act. The Government brought forward a number of amendments to include young people in custody within the scope of the Act. Previously young people in custody were not covered by the SEN legislation. These amendments require local authorities to maintain Education, Health and Care (EHC) plans for young people in custody, allow EHC assessments to be requested in custody, and for appeals to be made against local authority decisions. 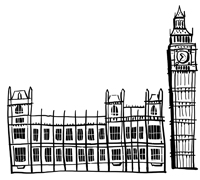 The Government tabled an amendment requiring EHC plans to include any social care services required by the Chronically Sick and Disabled Persons Act 1970. This amendment will mean that local authorities must identify any social care provision it needs to make as part of the EHC assessment process, specify that provision clearly in the EHC plan, and deliver that provision. The Government tabled a series of amendments that removed the expression ‘have regard to age’ from the Act entirely. This followed concerns that young people with SEN would be disadvantaged because local authorities had to ‘have regard to a young person’s age’ when assessing for or maintaining an EHC plan for anyone over 18.
review will report back to Parliament. The next stages are laying the final Regulations (secondary legislation which set out in more detail exactly what the law requires) and the Code of Practice before parliament. Parliamentary approval as soon as they can. The Preparing for Adulthood (PfA) programme is running an online forum for 7 weeks to discuss the Special Educational Needs and Disability reforms and consider how to create positive outcomes for young people with SEN and disabled young people. They have so far covered the local offer; personalisation; engagement of young people and families; Education, Health and Care Plans and personal budgets. Visit the PfA forum here. We have produced a number of resources as part of our Countdown to Change programme, getting the sector ready for implementation of the SEN and disability reforms, including guidance for parent carers on what the reforms will mean for them, written with NNPCF, NPPN, Contact a Family and CDC. We have also produced a factsheet for young people on how the reforms will affect them, written by Making Ourselves Heard and CDC. We have collated these resources and more into an information sheet available to download FREE at www.councilfordisabledchildren.org.uk/sendreforminfosheet. CDC and In Control are working in partnership to deliver a programme of support for the NHS and other health partners about the implications of the Children and Families Act and associated NHS Mandate commitments. CDC have also produced a briefing which highlights the key reforms in the Children and Families Act and some of the key issues professionals in the health services should be addressing as they prepare for the implementation of the reforms. 13 voluntary and community sector organisations and 12 Parent Partnership Services have been announced as being selected for the evidence & build phase of Independent Support programme. The National Parent Partnership Network have produced a briefing on Independent Support. To keep up-to-date with all things Independent Support and, please see the Independent Support webpages. We’ve created a new free resource for parent carers on what the reforms will mean for them, written with NNPCF, NPPN and Contact a Family. Parent carer forums can now bid for up to £15,000 for their parent carer participation grant. The government has published the results from an evaluation of the special educational needs and disability (SEND) pathfinder programme. The Government has now amended legislation to allow for an extra bedroom for a disabled child eligible for the middle or highest rates of Disability Living Allowance care who would normally be expected to share a room under the size criteria rules but who is not reasonably able to do so due to severe disability. The Care Bill has completed its passage through both Houses of Parliament. The House of Lords will now consider amendments made in the commons. Download factsheets about the Care Bill here. Ambitious About Autism are running the ‘Ruled Out’ campaign and have created a guide to the law for parents of children with autism and other special educational needs. National Network of Parent Carer Forums have a new website! SENDirect is inviting interested parties to become a part of the Expert Advisory Network. Young NCB wants to find out whether children and young people think school is preparing them for life. Ambitious about Autism’s ‘Ruled Out’ campaign to ensure every child or young person with autism can access the quality education they need to learn, thrive and achieve. The Pre-School Learning Alliance has launched a survey on early years policy. KIDS and Irwin Mitchell invite children and adults to share their positive experiences of disability in a writing competition open to all abilities. Free resources from the Anti-bullying Alliance aimed at schools, the wider children’s workforce and parents/carers. No Young Person with Cancer Left Out is a report from CLIC Sargent which looks at the impact of cancer on young people’s education, employment and training. NCB have written a blog for Children & Young People magazine on why we need an action plan for children’s mental health services. A survey by Scope and MumsNet found that disabled children still ‘miss out on social activities’ largely due to attitudinal barriers. The Alliance for Inclusive Education ‘How Was School’ resources are now available online. In Control and SQW have published ‘Support and Aspiration, Introducing Personal Budgets’. CDC is the umbrella body for the disabled children’s sector in England, with links to the other UK nations. CDC hosts the following networks: The National Parent Partnership Network, The Special Educational Consortium, The Transition Information Network and Making Ourselves Heard. Registered Charity No. 258825. Registered in England and Wales No 952717. Registered office: National Children’s Bureau, 8 Wakley Street, London, EC1V 7QE. The Easter holidays are here! Parents can sometimes find it challenging to keep their children engaged in positive activities so we have created a list of fun, free, local activities. Find our list here. The Royal London Society for Blind People (RLSB) has received funding to work with blind/partially sighted residents from the areas across London including City & Hackney, Newham and Tower Hamlets. We offer basic skills training courses in literacy, numeracy and ICT to blind/partially sighted people on a range of projects across London. These bespoke courses offer blind/partially sighted young people the opportunity to improve their basic skills for use in a range of learning, employment and everyday situations. Furthermore, we offer the chance to work with adaptive software such as screen readers, magnifiers and mobile technology. The course is ideal for blind/partially sighted youngsters aged between 18 and 25, especially those who are looking to increase their independence; struggled with English and maths at school; require support with other courses or who are looking to transfer their basic skills into the field of employment. The programme runs over 12 sessions and would be conducted on a 1:1 basis with clients working out of the RLSB’s office near Victoria Station. - Be registered blind, partially sighted or have an eye condition. - Be aged between 18-25. - Be resident in City & Hackney, Newham or Tower Hamlets. The funding for this programme is coming from the Sir John Cass Foundation. Pesach (Passover) will begin Monday evening, 14th April 2014 and end on Tuesday evening, 22nd April 2014. During this period Jewish patients can only eat special Passover food. This means that the kitchen will provide specially prepared foods which will bear the label: “for Passover use”. It is also possible that some patients will only eat food brought in from home, this might include hot and cold water. For more information please contact the chaplains on 7773 or Suri, Jewish Health Advocate on 079 76561332 or Marian, Jewish Health Advocate on 079 67653031. Join us for a discussion on how best to cope with the inevitable stress and pressure around the preparations for Pesach. Gain insight to the challenges of preparing for Pesach. Learn about time management and planning. We hope to help you enter the Festival of Freedom without feeling tied down by unnecessary pressure. Lee valley VeloPark opens to the public on Monday 31st March 2014. Lee Valley VeloPark on Queen Elizabeth Olympic Park will be open from March 2014. You’ll be able to choose from track cycling, racing the road circuit, tackling mountain bike trails or riding the berms on the re-modelled Olympic BMX track. The velo park will be providing a full covering to many different disabilities as possible and has been working closely with Bikeworks who provide all ability bike riding. At our new and exciting activity days. Dimensions’ new Saturday club is for you. We’ll be organising a variety of activities including pizza, cooking, sports, and games. From 29th March the clubs will continue to run on the last Saturday of every month from 11am to 5pm. Migrant Help has secured a Home Office grant to provide advice, guidance and asylum support application services as of 1st April 2014. This means that Migrant Help will become the sole government funded UK provider of advice services to adult asylum seekers and their dependants. The new services will replace the current One Stop Service and Initial Accommodation Wraparound, which will cease to exist on 31st March 2014. They will be delivered under the umbrella name Asylum Help (part of the Migrant Help organisation) as Asylum Advice UK and Asylum Support Application UK, and will enable continuation of all statutory services to asylum seekers and refugees. This change has been instigated by the Home Office, and is aiming to ensure consistency and simplification of the system through delivery by one single national provider. We need to advise you of these changes to ensure that you know where to refer those seeking advice and support throughout the asylum process. This is of particular importance to the departments of; Social Services, Children’s Service and the Housing Departments. The website – www.asylumhelpuk.org is live as of the 1st April and there are also two free telephone helplines – Asylum Helpline (Advice): 0808 8000 630 and Asylum Helpline (Support Applications): 0808 8000 631. The Short Breaks website has now gone live!! Informative, bright and easy to navigate we now have this online service available for both families and professionals to use. Feedback forms and more… just have a look and please spread the word. What does the future hold for child after secondary school? Need an interpreter, please let us know by 27th April 2014. Please note, the meetings highlighted in RED are closed meetings and must be booked in advance. Parents/Carers can attend the meetings in Blue without booking first.